With ﬁve production sites and commercial branches in France and in Indiana, US, Brianza Plastica is the only company offering ﬁbreglass laminates which are made using continuous hot lamination (Elyplan range) and discontinuous cold lamination (Elycold range). The company was established in 1962 in Carate Brianza (Milan), a province in the industrial region of Lombardy, with the speciﬁc purpose of manufacturing ﬁbreglass laminates for the building sector. As its expertise developed, and the demand increased for high quality laminates, its ﬁbreglass laminates were used for recreational and temperature- controlled vehicles. In the 1980s, the company entered the roof and wall thermal insulation market. Its Isotec® system, an innovative polyurethane- based under-tile thermal insulation, was launched in 1984. 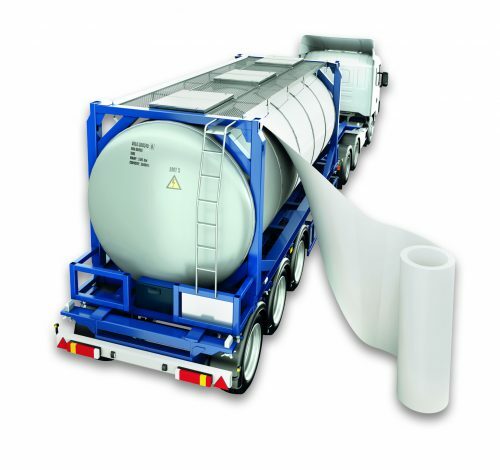 The ﬁrm has signiﬁcantly extended its market presence and product range having achieved success in the transport sector since 2006, where it supplies ﬁbreglass sheets both to manufacturers of recreational vehicles (campers and caravans), trucks and refrigerated-trailers. Both Elyplan and Elycold ﬂat laminate ranges are suitable for tank container coverings and can be produced in various weights and thicknesses, with or without woven roving reinforcement.